Ruby, salmon, coral, cerise, puce, cherry blossom, fuchsia, petal, ballerina, pink, and rose – it’s no wonder you may be confused. Some big time winemakers are talking about their newest pink creation and you’re sitting there wondering how they could ever make white zinfandel. Well, they aren’t. White Zin certainly has its place and by the millions of people who swear by the stuff, you can’t deny that it’s loved. But the real hang-up for a lot of people is straying from rosé wine before you even get to know it! Does it happen to be pink in color? Yes, but for good reason. Raise your hand if you like Grenache, Pinot Noir, and Cabernet Sauvignon or Cabernet Franc. I sure do, but at a summer party may not be the best choice. (Milk was a bad choice…) Heavy reds warm you up and make you sleepy…a complete drag for a party. Still you’re struggling with the fact that you don’t care for white wine. Rosé might be the answer to you problems. It’s dry, crisp and light enough for the summer. Find yourself one with a little fizz and you’ll be unstoppable. Well, at least your wine bottle will be. I had the opportunity of visiting Great Grapes wine store in Cary off Kildaire Farms Rd. 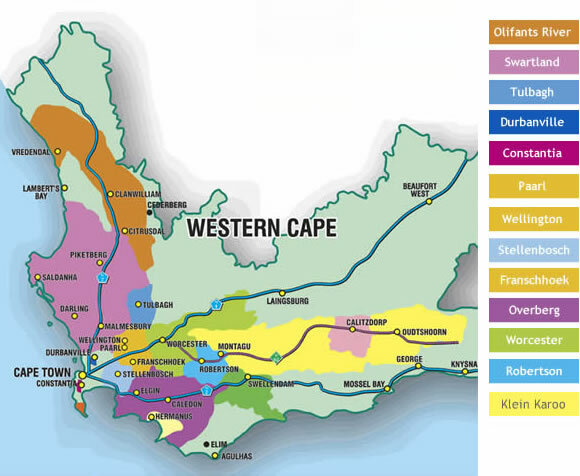 for their South African wine tasting. The tasting was free and the winemaker was pouring. There were about 7 or 8 wines being served; 2 white, 4-5 red, 1 rosé. South Africa grows an exceptional Chenin Blanc (so I wanted to mention it here) a nice light white with full flavors of tropical fruits, pineapple and mango. I always like to mirror foods and therefore would love to put this with some kind of fish (swordfish, tilapia or scallops) with a pineapple mango salsa. Being a huge fan of Bobby Flay, I want to feature a recipe of his that I’m hoping to try soon. Fire Roasted Swordfish Steak with Pineapple Mustard Glaze and Grilled Pineapple Salsa. The Chenin Blanc being served was good, but wasn’t the wine that caught the attention of my taste buds. Though it is one of South Africa’s most famous wines the others at the tasting were excellent in comparison. I wish I could have bought all these wines, but stuck to those that fit my budget more. I grabbed two of the Mulderbosch Rosé bottles. This rosé, made from Cabernet Sauvignon tasted just like a Cab should with all the tannins and flavor, but was light enough to drink in 100 degree weather. 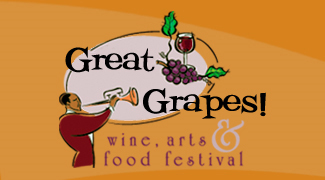 To check them out, visit Great Grapes in Cary. 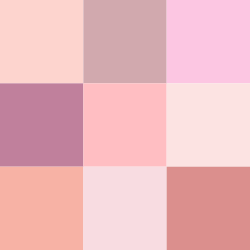 As stated above, rosés can be made with many different types of wine. The wine also holds the integrity of the grape itself, which makes rosé a great choice for mixed company parties. (By mixed company I mean red lovers and white lovers.) So before you say “No way, José” to that beautifully pink liquid, give it a chance! I recommend the Mulderbosch Rosé at Great Grapes in Cary, the Meichlits Pinot Noir Frizzante Rosé at Sip…a wine store in Cary, Skull Camp’s “Confusion” and the Dry Rosé at Grove Winery in Gibsonville. These all sell for between 10 and 14 dollars. Enjoy! There is a lot to do this next weekend for Father’s Day! 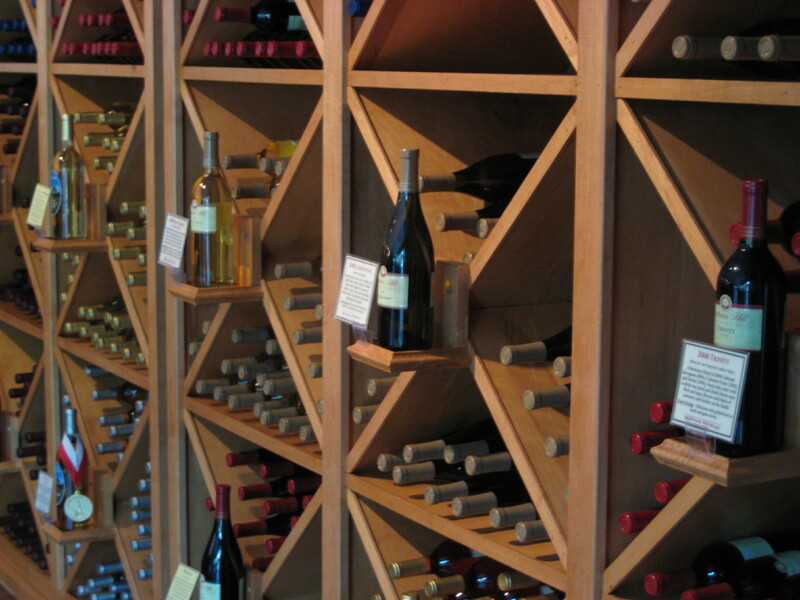 Chatham Hill Winery and Grove Winery are both having Father’s Day wine tasting specials. Also, the local wine stores all have their regular tastings set up through the weekend. Follow @breeze386 on Twitter for more information. First of all, I’d just like to say that Mothers are great! They’re there when you need them, they’re there when you don’t; and if you’re Jewish, they’ll be there when you’re not hungry. They are also terrific wine tasting partners, which is what my mom and I did this past Sunday. Chatham Hill Winery, Raleigh’s Urban Winery, hosted a free wine tasting and tour for moms, when accompanied by their child. I took the liberty of being said child so my mom could have a free day! The winery opens at 1pm on Sundays, so as you would expect we got there at 12:50. Ready and willing we jumped at the opportunity to start tasting before the crowd arrived. We were able to taste 10 wines in all. 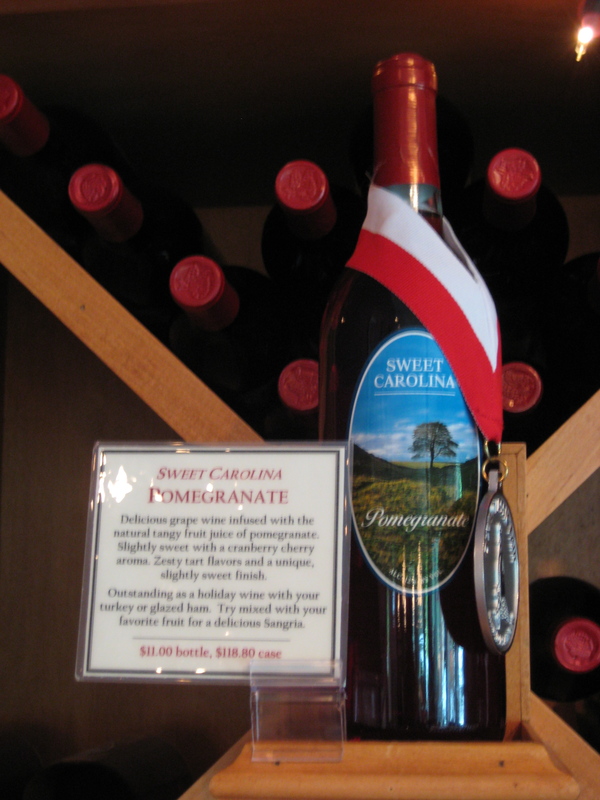 (3 white, 3 red, 1 rosé and 3 fruit) Chatham Hill uses two different names and labels for their wine, so you will find that all the fruit flavored wines will be titled Sweet Carolina Wines and the others will remain Chatham Hill. The first white we tried was a Viognier. 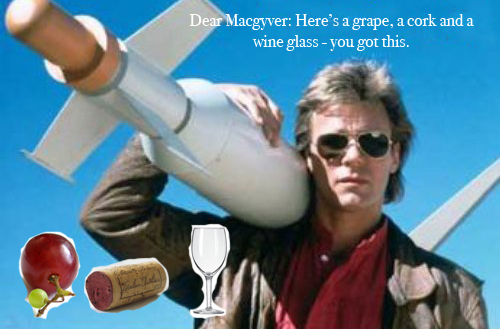 I was talking to a girl the other day about her favorite wines and she mentioned that she loved “Vig…vion…vigo…some V word.” On that note, I thought I would now phonetically write out the tougher grape names. You can’t go to the store and ask for that V-Word wine, people will start staring. So here we go, say it with me – Vee-own-yay! Close enough and easy to remember. Chatham Hill’s 2008 Viognier was light and delicate with heavy apricot flavors. My mom said it wasn’t her favorite, but I think that’s because she likes viogniers with less floral aromatic notes and more acidic crispness. Next, we sampled the 2008 Chardonnay. Fermented in stainless steel and then aged for 8 months in French oak barrels gives the wine a hint of vanilla on the palate. A vanilla and or buttery flavor in wine is indicative of oak barrel aging. I love the flavor, some people don’t, and it is up to you for whatever you prefer. You can get really greedy and like them both, as I do. The aftertaste had a strong flavor of lemon lime, which is one reason I really liked this Chardonnay. The third white, a Pinot Grigio, took the lead as our favorite white. It was explained that this Pinot Grigio was made in the French style instead of the Italian style. 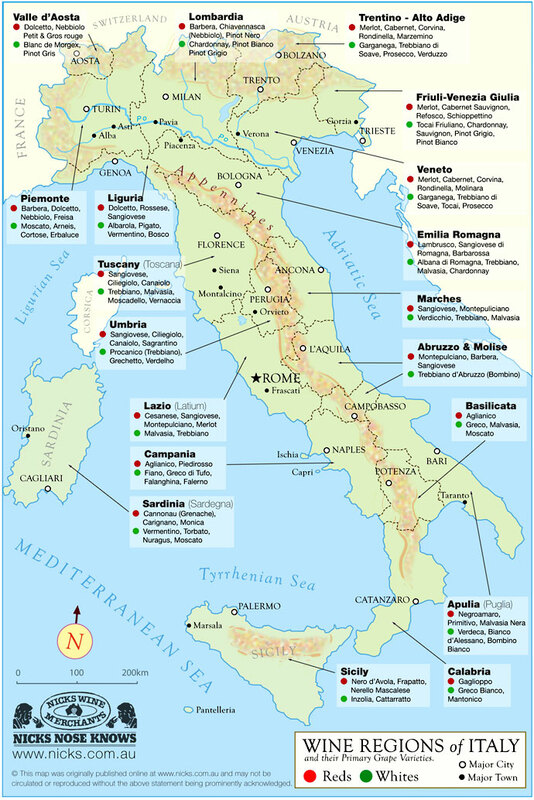 Italian style Pinot Grigios are acidic and crisp without a lot of flavor from the grape or other fruits. A French style Pinot Gris does include more fruit flavor. The reason this wine was so good to us, was that it was so different. The Pinot Grigio was light and delicate with lots of mango and pineapple on the palate. The smell almost met that of a Gewurstraminer, which to me is the best smelling white of them all (like a bouquet of flowers). We moved on to the Rosé. Don’t you like how I figured out the accent?! Small victories people. Chatham Hill’s Rosé is made a little differently, not with your usual Grenache grape. However, Rosé has really become a fun, dry wine to drink – not to be mistaken for a White Zinfandel. Its taste is completely different with much less sweetness, but in this Rosé’s case, hints of strawberry and peach. The wine’s taste was a little too astringent for me; maybe some carbonation would have helped. We then progressed rather quickly through the reds as more and more people poured into the building. The Rubio (just a name, not a grape) came next as a blend of Carignan (Care-ig-yawn) and Ruby Cab. A nice mixture with rich flavors of sweet cherry, though the wine remained relatively light with a nice mouth feel. 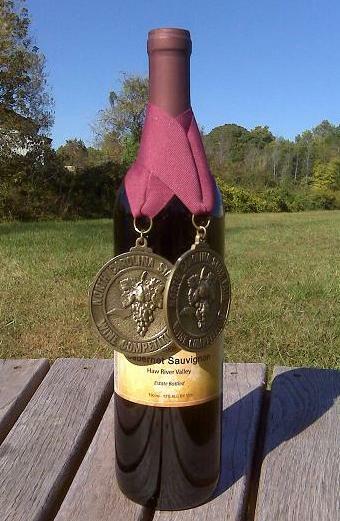 The 2008 Cabernet Franc is one of Chatham Hill’s gold medal winners. Cabernet Franc is one of my favorite kinds of wine because of the smoky, peppery flavor that this grape lends to its wine. Rich in dark currant and blackberry, this Cabernet Franc has soft tannins and full flavor. Earthiness might sound weird for a wine, but it sure does taste good and is easy to drink. The last of Chatham Hill’s red was the 2005 Syrah, a terrific year! The Syrah tasted of mixed berry jam. Soft blueberry and blackberry flavors arose and had a nice finish. I really enjoyed this one as well. As I’ve written before, Chatham Hill makes really great fruit flavored wines. These wines taste just like the fruit and aren’t clouded with too much sweetness. 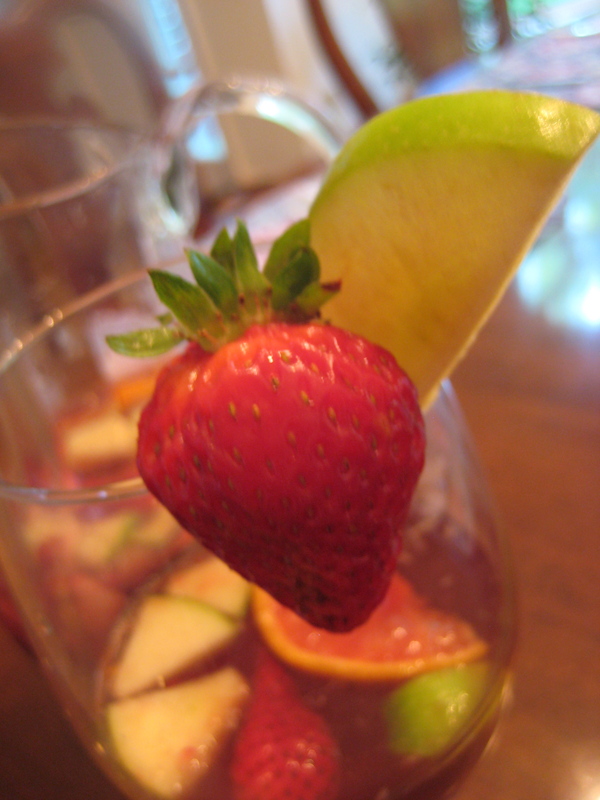 The wines are blended with Chardonnay and are wonderful for Sangria. We tried Pomegranate, Cherry and Blueberry. I hold the Pomegranate in high regards. When life gives you sweet wine (or you bought it for that purpose), make sangria! We took a tour of the winery from the winemaker himself, Marek Wojciechowski. He is a brilliant man and winemaker. Of course I can’t forget about Red Light Chocolates, as I’ve now become a groupie. 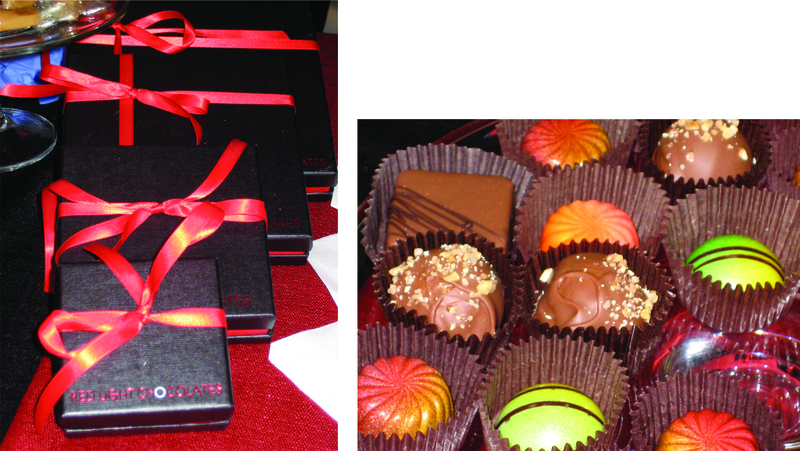 Please check out this family owned and operated company, making artistically yummy chocolates out of their dining room! So what happens when it seems like the end of the world is coming in the middle of a wine festival? You take cover in the Little River Winery “tasting room on wheels” and continue to drink! And when the power goes out and it begins to hail? You continue to drink wine, but a little more cautiously. 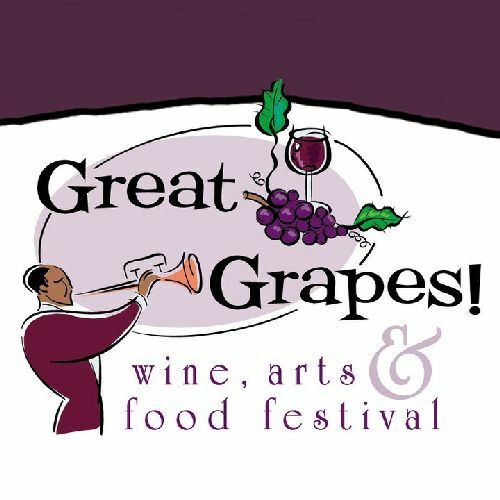 This was our experience at the Great Grapes festival in Cary this past weekend. Though I don’t take all the destruction from the storm in the surrounding areas lightly, I am certainly thankful for the storm almost missing Cary. Especially, because the event staff told people to go to their cars and a good hundred plus people were just standing under the awning! I would hope next time the staff will direct us towards the fully cemented, no window bathrooms. Prior to the festival, I volunteered to pour for one of the wineries. Just doing my civil duty! No mention of the fact that I got free admission! 🙂 So I poured and tasted all their wines to accurately describe them to tasters. I don’t know who was more surprised, me or the people from Grove. I was surprised by how great their wine was and they were vocally surprised at how knowledgeable I was and how well I could talk about their wine. The winery’s retired winemaker, Bob, was so nice and busy discovering new wines. Hint: Blend the Nebbiolo and the Cabernet Sauvignon for a well-balanced, robust, full of flavor red. Everyone was wonderful and the wine was great. Seriously! Visit them! Big, robust red, light in color, flavor was powerful. Black cherry, tobacco and coffee, firm tannins. I would describe as smoky and like no Cab I’ve ever tasted. 100% Sangiovese, aged in oak. Dry European style Rose, far from a too sweet White Zin. Southern Charm Winery was just that, charming. The guy pouring the wine was awesome and even when it was pouring and thundering he continued to pour us delicious wine. I started dancing in the rain beside their tent with Amarone in hand! The wine didn’t melt and neither did I. Here for you a nice white, a fantastic version of a Northern Italian style red and a fruit blend. A classic semi-dry Riesling, this wine offers a mild citrus body, with a clean and slightly tart finish. Our interpretation of a traditional Amarone, this is a full-bodied dry wine. Flavors of dried fruits, cocoa and vanilla blend together for an unbelievably smooth finish. Truly, a wine like no other. You get the taste of fresh, sweet blackberries blended with our rich Merlot for a smooth, flavorful wine. People from North Carolina must really find pride in really sweet wines. Each tent we visited, people were hesitant to give me their favorite because it was usually a dark red. They must have taken one good look at me and thought, “Oh that girl looks so nice and sweet, let’s try and give her some scuppernong!” These wines were interesting as I’ve never tasted Cynthiana before. I am probably the biggest “North Carolina rocks!” advocate around, but this Native American grape didn’t really do it for me. Back to old world grapes for me. Dry red wine made from Chambourcin (French-American hybrid) grapes, which grow well in the Yadkin Valley and produce excellent red wines, rich in color and tannins. Dry red wine made from a blend of Chambourcin and Cynthiana/Norton (native American) grapes. Rich red dry with fruity, nutty. Light and refreshing with a hint of gooseberries on the nose. Our Sauvignon Blanc has a delicate acidity and flavors of kiwi, lime and white peach on the mid-palate. The finish is long and delicate. A blend of Cabernet Franc and Cabernet Sauvignon (50/50) Our wine makers have crafted a soft and rounded wine with rich flavors of currant and cherry. Notes of mint and touch of vanilla on the palate – long elegant finish. This wine is so new that the website has yet to give it a description. This wine was similar to the Infusion, just a 60/40 blend of Cabernet Franc and Cabernet Sauvignon instead. I asked for the pourer’s favorite and he gave me this. I am now a believer. Smoky, smooth, full and elegant, it was terrific. Muscadine is a difficult grape to make wine from and wine that tastes good at that. Cypress Bend did very well with the Riverton Reserve. Unlike other Muscadine wines, the Riverton Reserve wasn’t abundantly sweet and really proved itself with what they stated as “fresh and lively character,” it’s true! Even better was the Livy. I took one look at Livy’s simple description and it really was as great as it sounded. The way I would describe this wine would be a mix between a Pinot Grigio’s lightness and a Viognier’s crispness. It was one of my favorites of the day. A dry white premium Muscadine wine with beautiful balance and an abundance of fruitiness to keep its rich character fresh and lively. Its bright full aromas bend to a full round palate and velvety finish. Semi dry white, crisp and zesty. I love these wines! I love them all! Each of these wines has all won some kind of award. These guys are awesome and their table was full of cool people all taking the “I am badass” approach to winemaking. Each wine had a fun name like indulgence, anticipation, euphoria, confusion, infatuation, flirtation, etc. I couldn’t choose just one. A ‘port-style’ fortified red wine. 100% Cabernet Franc, barrel aged for over 3-4 years. Black cherry aromas with a hint of spice. Light & refreshing semi-dry white table wine. Citrus, apple and pear with just a slight bit of sweetness. It’s what comes after anticipation! Slightly sweeter white, with grapefruit and pear aromas. Refreshing Rose’ semi-dry table wine. Tropical fruit, red apple, and cherry. 100% Cabernet Franc grapes. A semi-dry red wine with aromas of cherry and ripe plum that yields a perfect balance between the sweetness, tannins and oak. It was a must to visit this tent because of my friend Alison. Really, that was the only reason. This reasoning is comparable to any girl’s reasoning on which sports team to like. (Pretty uniforms, brother went to the school, cute mascot). Glad I did though, they had this red blend that I really liked. Blend of Cabernet Sauvignon, Syrah, Merlot and Zinfandel. Very bright red cherry color that carries through on the nose and palate. Complex fruit flavors of berry and stone fruits. Peppery finish with notes of licorice and cocoa. 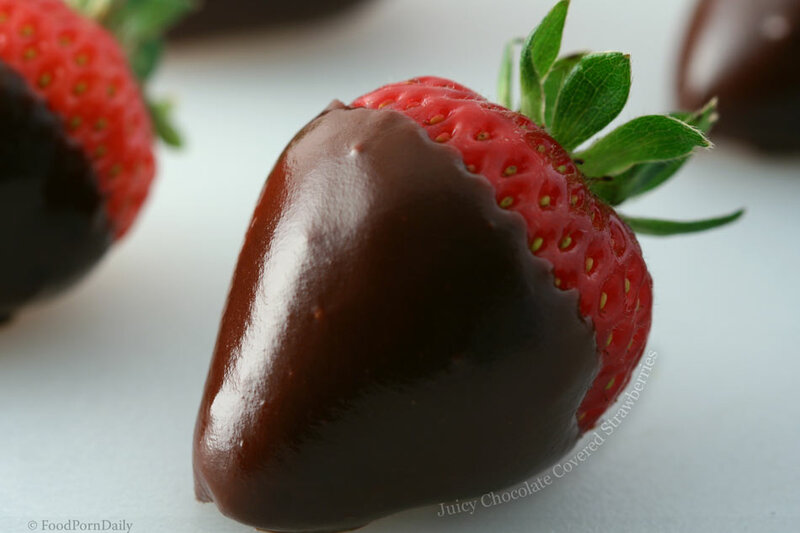 The website says that Dark Shadow tastes like chocolate covered cherries, but mix these two together to get chocolate covered strawberries. It is dessert and romance in a glass, forget all those calories, and drink up! This strawberry wine is light and refreshing. With 11% alcohol and a sweet taste, it is the perfect summer wine any time of year. Chatham Hill Winery does many things right and has a beautiful tasting room, but there is one area in which they excel. Chatham Hill’s fruit flavored wines can NOT be topped. This winery uses Chardonnay instead of Muscadine in its flavored wines and it makes all the difference. Try any and all, alone or in sangria – they might just change your life. Flavors include peach, raspberry, blackberry, blueberry, cherry, strawberry and my new favorite, pomegranate. At about $11 a bottle, you can buy enough for all your friends. $30 for an already purchased festival ticket. $5 on gas. Learning, tasting wine and loving life for 5 hours straight? Priceless. All I can say is: Do it. Wine is made in basically the same way across the board. 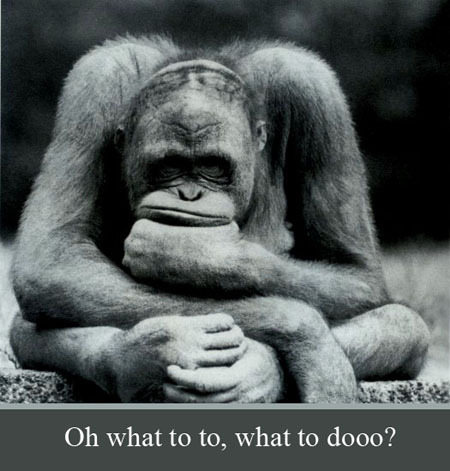 But you might be surprised by how many different things a wine maker can do to change the taste of each specific wine. You say you like the flavor of oak in a Chardonnay, or the smoky, peppery flavor in a Cabernet Franc… well those flavors come from outside influences and from the grape respectively. Sometimes it is the flavor of the grape that shines through, sometimes it is the government controlled regulations that are being followed and sometimes it is the way the wine maker has chosen to make a particular wine. Either way vinification (wine-making process) is never as random as it seems. 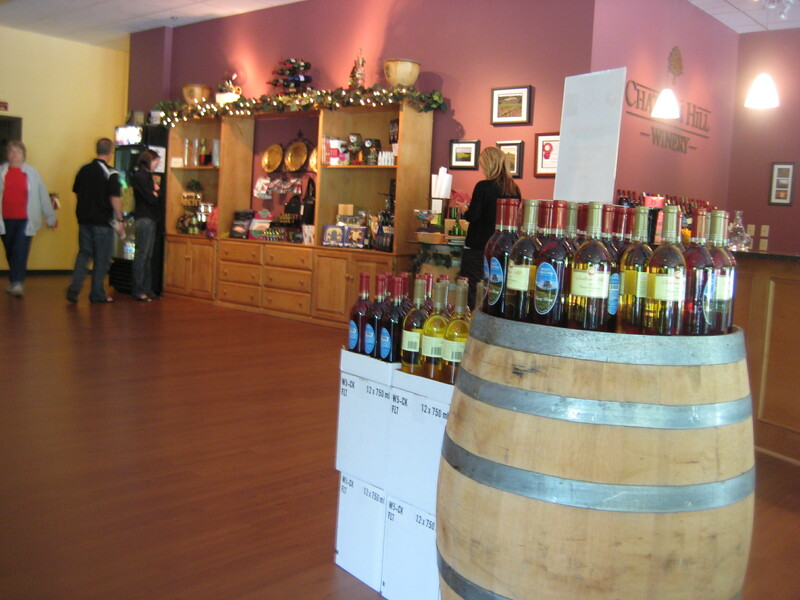 There is a local winery here in Raleigh called Chatham Hill Winery. The outside looks more like an attorney’s office, but they’ve certainly made the inside look beautiful. When you walk in there is a huge bar and to the left many tables to sit and relax. I like this winery because it’s small and was a great place for me to start a while back. They give you a tasting and tour of the wine being made. If you do have a winery near you, I definitely suggest going just to learn and see how wine is made on a small or large scale. So the title is “random”-ification because I wanted to jump around a little bit. Suppose I could have just grabbed a trampoline, but it wouldn’t fit in my room! There are four things in particular that I wanted to touch on with this entry: vinification, fermentation, types of tasting and the random wines I’ve tasted lately. Vinification I’ve already touched on. It is the process of making wine and all processes are different. The skins can be left with the crushed grapes longer, wine can be aged in barrels or stainless steel drums, juices can be added at the end, sugars can be left unconverted and so on. In order to understand further vinification processes, lets jump to fermentation. A mathematical equation to remember – sugar + yeast = alcohol + CO2. Wine is made when all the sugar has been converted to alcohol and the alcohol kills all the yeast. This is starting to sound like a behind-the-back slasher movie in the making. (Or at least one that Daniel Craig can get behind…. 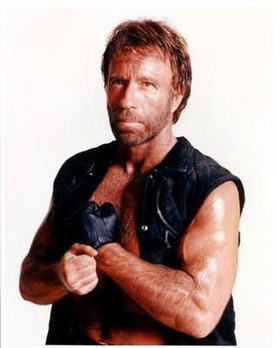 Oh, I’m kidding I’m sure Aliens vs. Cowboys is going to be a stellar film.) If you’re wondering what happens to the Carbon Dioxide, it floats up to heaven like an angel, unless you’re making a sparkling wine, then it stays and makes any kind of wine angelic. Next in this random jumble of information there are different types of tastings. I only mention this in case you were hoping to do a wine party of your own, where it might be fun to choose wines that work with these types (and to be able to tell your guests that). There is horizontal tasting [tasting wines from the same vintage], vertical tasting [tasting wines from different vintages], blind tasting [tasters don’t know anything about the wine] and semi-blind tasting [the taster knows limited information about the wine]. Finally, the only way to learn more about wine is to try every different kind that you can. 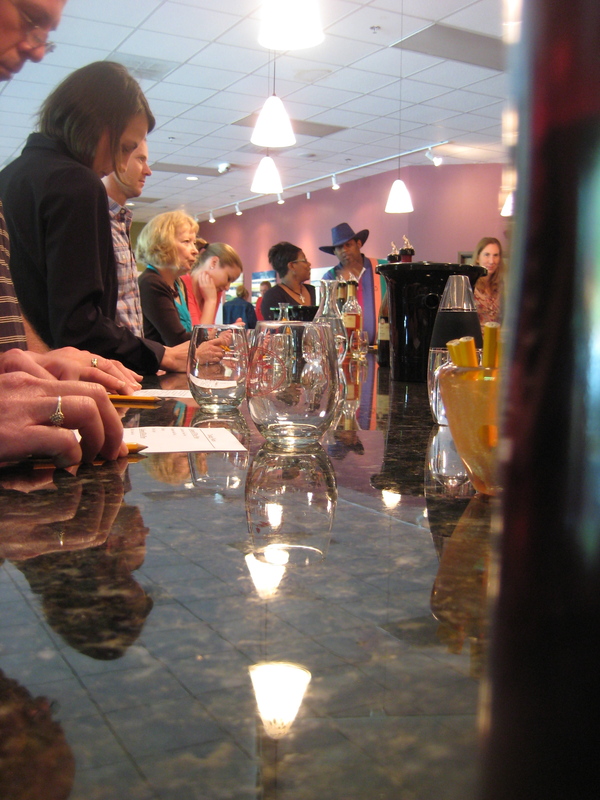 I learned my whole basic knowledge of wine simply by going to so many different kinds of tastings. How are you to pick out the flavor of a Cabernet Franc in a red blend if you’ve never had 100% Cabernet Franc? How are you to know that German Rieslings are more acidic than American Rieslings? How are you to know that you don’t really like a wine’s oakiness if you’ve never tasted one without oak aging? Well the easy answer, you can’t know. There is no way for you to know, if you haven’t tried it. There are some jerks out there that will go to a tasting and act like they know everything, possibly making all of us feel inadequate. The problem, they are there for the same reason, to learn more! In the end, we all get wine – cause for a smile and another taste! 2007 Bonterra Vineyards, Zinfandel, Mendocino (Organic) – (plum, blackberry, astringent, hint of pepper) 2 Feet. 2007 La Gramiere, Grenache/Syrah, Castillon du Gard – (black pepper and clove, full-bodied, dark fruit bouquet and raisin) 2 Feet. 2007 Chateauneuf-du-Pape, B&G, Syrah/Grenache, Rhone Valley – (spicy and bold with flavors of plum, smooth from beginning to end) 1 Foot. 2009 Don Miquel Gascon, Malbec, Mendoza, Argentina – (dark cherry, blueberry and blackberry with a hint of mocha, lots of tannin) 2 Feet. 2007 Kavaklidere, Emir/Narince/Semillion/Sultaniye, Cankaya – (similar to a Riesling with more acidity, apricot and grapefruit flavors, light in body) 2 Feet. 2006 Torbreck Barossa, The Struie, Shiraz, Australia – (another fruit filled red, blackberry, raspberry, coats the tongue, smooth) 1 Foot. 2009 Cuma Organic, Torrontes, Argentina – (reminiscent of Pinot Grigio with citrusy sweet flavors and a hint of grapefruit, a bright wine that opens up to mineral and herbal flavors in the aftertaste) 2 Feet. Every time I have a glass of wine I try to choose something I’ve never heard of before. Some of these were random purchases, others gifts and others just chosen from a wine list for the funky name. Don’t worry; I still try to pair accordingly. If you are new to the blog, the “feet” thing came along as a way to rate wine. The problem with rating wine for me is that I like them all and I can usually find something good about each. Other than it being a hilarious way to rate wine, it really isn’t a terrific indicator. How about if I taste a really bad one, I’ll just tell you? Ok, it’s settled. Ps. I learned the 2005 is a wonderful vintage across the world for wines. Anything 2005 will be good.